Purchase at least 2 sets of Hokto Value Pack. 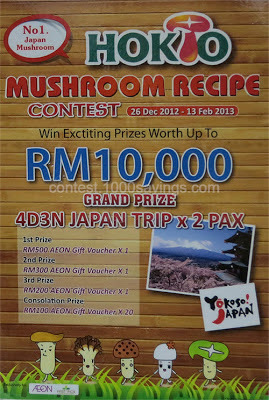 Submit your creative cooking recipe with hokto mushroom attached together with a 4R photo of the finished dish to the following mailing address : 30-4, Jalan Bangsar Utama 1, Bangsar Utama, 59000 Kuala Lumpur. 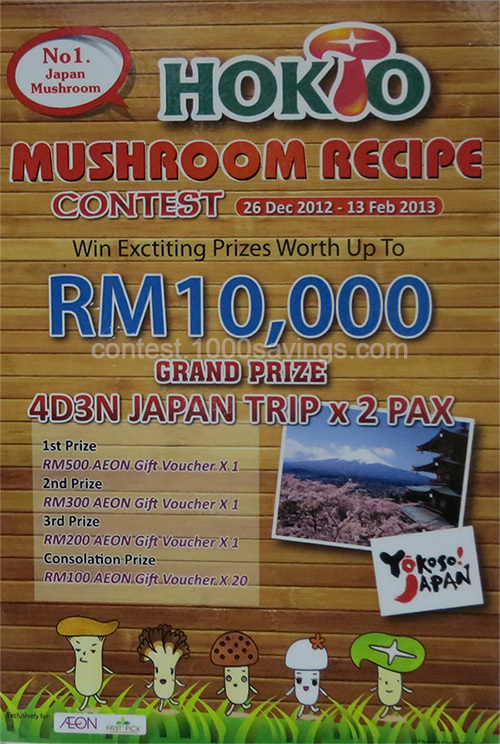 Read the contest leaflet for more details or call 03-2283 6398. Is this food is HALAL?